Goodbye to Green Home Experts--and Good Luck! Our beloved all-things-green store is closing this month, and owner Maria Onesto Moran is moving on to a new mission. On Jan. 31, Green Home Experts will sell off the last of its stock and close its doors. We will sure miss not only Maria's sparkling conversation from the front counter, but also the bright native plants and vegetables, the green school supplies, and the bulk cleaning products dispensed into our own containers. We also will miss the fun parties, classes and events that GHE hosted in its cheerful venue. Introduction to "Keeping it REEL"
As creator of the One Earth Film Festival, Green Community Connections believes in the power of film to inform, inspire and transform. Our new Keeping It Reel feature will curate short videos and feature-length film trailers that focus on a variety of sustainability and environmental issues that affect us all. You will find in this feature not only a variety of topics but also a variety of approaches to the topic, including factual, inspirational, light and humorous, personal stories and public advocacy. In the righthand column are two videos to start off our new series. Enjoy! Please give us your feedback and participate by submitting your "nominations" for a future feature. Contact Sally Stovall: sally@greencommunityconnections.org. Twenty-four break-out sessions on topics from biking to fighting childhood obesity to Illinois' home-grown renewable energy industry. Eighty-three brilliant, sustainability speakers and panelists. One Swedish ambassador. Oh, and a tasty, post-event, micro-brew reception. Add them up and what do you get? 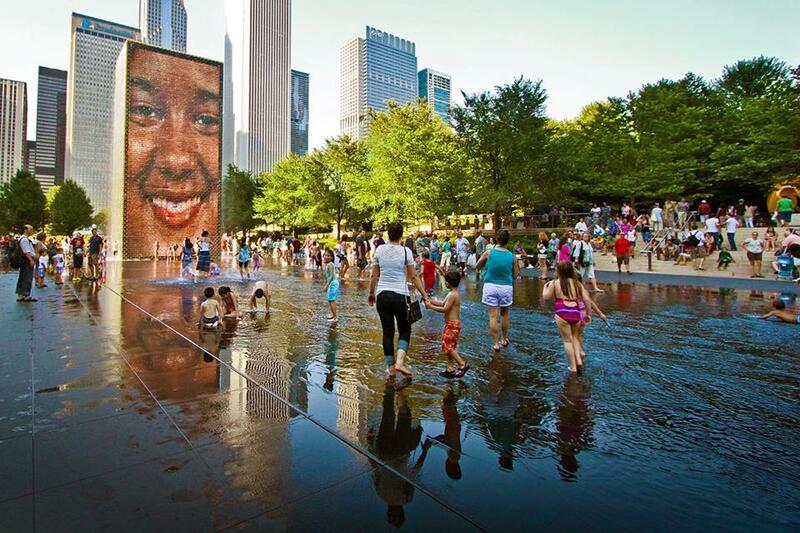 The GreenTown Chicago conference, held May 21-22, where today's best and brightest ideas will inspire tomorrow's sustainable solutions to fight climate change, improve people's health and spur regional resilience. Green Community Connections members and other sustainability activists will find much to discover and learn at the conference, held at UIC Student Center East at 750 S. Halsted in Chicago. The location is easily accessible by bike, blue line, Metra or carpool. Designed to be an intense, focused networking opportunity for government, business and community members interested in pushing the Chicago region toward a more sustainable future, GreenTown Chicago is organized by Oak Park-based Seven Generations Ahead and a5, a strategy and design firm in Chicago. Discover how the region is undergoing a paradigm shift from “waste management” to “materials recovery." The trees we live among are under threat, but also give us enormous ecological benefits. Edith Makra, Director of Environmental Initiatives, Metropolitan Mayors Caucus will give a tour of Chicago's urban forest. Panelists will discuss how the Institute of Cultural Affair’s (ICA) Accelerate 77 project is engaging leaders from across Chicago’s neighborhoods in learning about and acting on sustainability. Find out how Sweden's cities are becoming more energy efficient, healthy and resilient. Learn how the Climate Adaptation Guidebook for Municipalities in the Chicago Region can help communities interested in adapting their planning and investment decisions to a changing climate. The conference's first day, Wednesday, May 21, will hold two high-level sessions on food scrap composting in Illinois and the role of colleges and universities in leading the push toward sustainability. 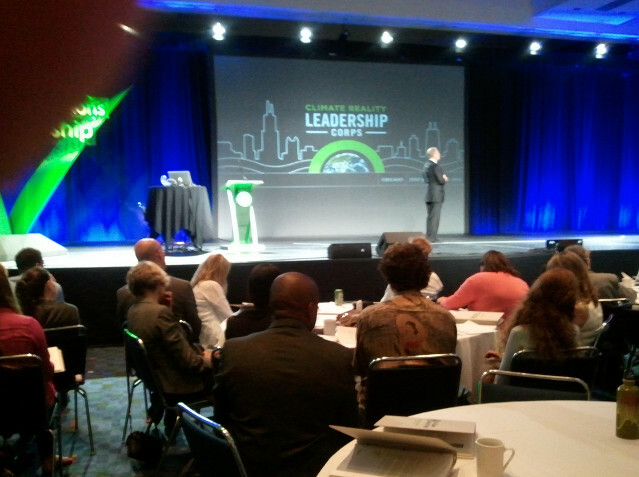 Click here to view the full GreenTown Chicago agenda as well as registration and parking information. GreenTown is sponsored by the city of Chicago, the Institute of Cultural Affairs, and Chicago Metropolitan Agency for Planning. With the Winter Solstice, Christmas and New Year's approaching, here are some no cost and low cost ways to end 2013 with an eco-friendly bang. 1. Give your time. In our "More and More" world, it's easy to forget that the gift of time is most precious. Consider giving “gift certificates” for a skill that you can teach, such as music lessons or knitting, or a service, like pet-sitting or house cleaning. No cost. 2. Give an experience. Find a local guided tour, class on a shared interest, massage at a spa or tickets to a sporting event, museum, concert or play. 3. Bake an incredible gift. Use your skill in the kitchen to bake breads, cookies, preserves, dried fruits, nut mixes or herbed vinegars...all presented in reusable containers, of course! Low cost. 4. Buy locally made gifts whenever possible. Cloth napkins and kitchen towels make especially green gifts. Discover the many craft fairs around town, as well as the Oak Park Women's Exchange at 839 S Oak Park Ave in Oak Park (opwe.org). 5. Give the gift of a greener world by giving things such as a refurbished computer, backyard composter, rain barrel, refillable thermos bottle, and recycled-content stationery. If you're giving a battery-operated toy, include rechargeable batteries and a battery charger. Hydraulic Fracturing or "fracking" has transformed America's energy landscape. This newly developed extraction technique allows companies to access oil and gas trapped in shale rock and other unconventional geologic formations. However, fracking's impact on water safety, the environment, and the climate have raised grave concerns about its sustainability. Join us for an afternoon discussion of fracking and its environmental impacts. Featured presenters include Terry Evans, photographer of "Fractured: North Dakota's Oil Boom" (currently on exhibit at the Field), Margaret MacDonell from the Argonne National Laboratory , Rob Jackson from Duke University, Alaka Wali from the Field Museum, and Mike Ziri from the Illinois Department of Natural Resources. The event will be moderated by Mark Lycett, Director of the University of Chicago Program on the Global Environment and Interim Director of the Center for International Studies. NOTE: Please enter the Simpson Theater through the West Door of the Field Museum — entrance is free for the lecture only, and does not include admission to the museum galleries. All other access to the museum requires regular paid admission. A free shuttle bus (first come, first served) will leave from the University of Chicago campus in front of Pick Hall at 11:15am and return to that location after the event. Cosponsored by the Center for International Studies, the Program on the Global Environment, and the Field Museum. The two homes we featured in this previoiusly published post will be on the Sept. 28th Green Living and Learning Tour. We are happy to bring another opportunity to the public to tour these "green-built" homes. Read more about them and plan to visit them on the Tour! The first ever GreenBuilt Home Tour will take place on Saturday, July 20 and Sunday, July 21 and homes will be open from 10 am – 6 pm on both days. The tour’s theme, Living Healthy and Saving Green, features 16 exceptional, award-winning, nationally-recognized Chicago area homes, including two stops in Oak Park and River Forest. By attending the tour, you will learn about the latest advances in healthy living, energy and resource efficiency, and cost-effective green design. Home owners, as well as the builders, architects and area leaders building sustainable homes will be onsite to answer questions and share their experience with the sustainable building process. For more information on the tour and to purchase tickets, or to volunteer, check out the website at http://greenbuilthometour.org. Enter the coupon code "green" for $5.00 off your ticket price! The Doyle residence, underwent a deconstruction and gut rehab in 2012. The project won a 2012 Green Award from the Village of Oak Park and incorporated green innovations for energy and resource conservation, while preserving the character of the original Prairie-style, American Four Square home. The home utilizes a geothermal energy system for HVAC and domestic hot water. It includes one of the first residential greywater systems in IL, anticipated to save 20-30% on indoor water use by recycling water from tubs/showers into toilets. Ana Garcia Doyle is active member of Green Community Connections and leader of the One Earth Film Festival. Ana and Jim Doyle and family hosted a water conservation tour stop for the 2012 Green Living and Learning Tour. At that time, the house was still under construction. If you haven’t seen the completed project, the GreenBuilt Home Tour would be an excellent opportunity to do so. Oak Park architect Tom Bassett-Dilley has designed the first certified passive house to be built in the Chicago area and 28th in the nation. The new house, built for the Lema family, uses only a small fraction of the heating and cooling energy of a conventional house. What is a Passive House? Passive House is the most stringent building energy efficiency standard in the world; it requires that the envelope of the home is designed to minimize losses and maximize passive gains, with careful attention to building science and indoor air quality. The result is a super comfortable home with minimal operating costs, great indoor air quality, and far less maintenance requirements than a typical home. With its cost-effective emphasis on the building envelope, Passive design is a good first step toward Net Zero building. For information and tickets or to volunteer: http://greenbuilthometour.org. For three days, July 30th through August 1st, activists from all over the world participated in the Climate Reality Leadership Training held in Chicago. Oak Park residents Mindy Agnew, Milton Clark, Mac Robinet, and Sally Stovall were 4 of the 1400 participants from all 50 US states and 70 countries that participated in the training at McCormick Place. Former Vice President Al Gore, founder of the Climate Reality Project, spent one full day with the group reviewing the science of climate change and dramatic images of climate change from all over the world that have occurred in the last few years, in the form of extreme weather including record-breaking heat waves, flooding, drought, and wild fires, and the resulting human and economic costs. A sobering picture. BUT, we did not go away feeling discouraged and dispirited. On the contrary, we were encouraged and energized because we know that are things we can do to make a difference. Jonah Sachs, one of the co-founders of Free Range Studios which produced videos like “The Story of Stuff,” “The Meatrix,” (a spoof on The Matrix), and “(Grocery) Store Wars,” (a spoof on Star Wars) also addressed the group. He talked about the power of stories to touch people and move them to action. Keep a look out for Sach’s new book is titled, Winning the Story Wars: Why Those Who Tell (and Live) the Best Stories Will Rule the Future. I know that the “sustainable, resilient communities story” is the story that I want to rule the future, and I think that OPRF is just the right community to be telling – and modeling that story! 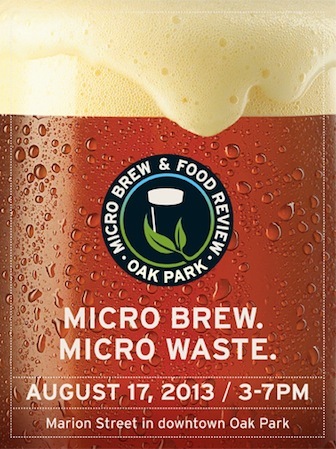 Co-produced by Seven Generations Ahead and the Illinois Craft Brewers Guild the Oak Park Micro Brew Review will feature tastings of over 120 craft beers from 60 Microbreweries across the Midwest. But this is not just your average beer festival; proceeds from the event help fund SGA's non-profit work to build healthy, environmentally sustainable communities in the Midwest. Place: On Marion Street between Lake Street to the north and Pleasant St. to the south. Along with celebrating the microbrews of the most skilled craft brew masters in the region, attendees can also celebrate sustainable living while sampling select food tastings that incorporate organic food from local farmers. And to make sure minimal event waste is sent to the landfill, this festival models Zero Waste best practices.